This important document helps to assure prompt and appropriate care for Children with Special Health Care Needs (CSHCN) when patients present to emergency departments or health care professionals with an acute illness or injury. The EIF is designed to assist physicians, parents, EMS professionals, and nurses in transfering critical information. and activity limitations successfully evacuating buildings. It was created by the Center for Disability Issues and the Health Professions (cdihp.org) and is provided by permission. 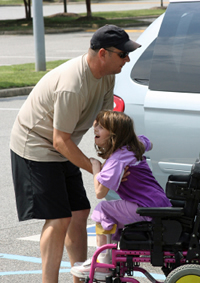 It is also available through the State of Alabama Governor's Office on Disability (GOOD) (www.good.state.al.us).